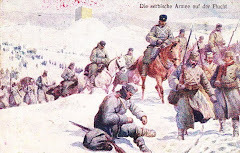 The following three images are great vintage postcards of the Serbian Army during WWI. October 9, 2009 marks the 75th anniversary of the assassination of King Alexander I of Yugoslavia. This assassination of the Serbian king by a Macedonian terrorist working with Croatian separatists never garnered the notoriety that the June 28, 1914 assassination of Austrian Archduke Ferdinand by Bosnian Serb Gavrilo Princip did. However, the impact of the assassination of King Alexander I and French Foreign Minister Louis Barthou in Marseille, France, though not as “immediate” as the Sarajevo assassination in 1914 that precipitated World War I, was a harbinger of the even greater cataclysm that was coming. Given the climate in Europe in 1934 and what was brewing in Germany, the assassination in Marseille was one of those singular moments that should have served as a red flag that the “peace” being enjoyed in 1930s Europe was in peril. Who was King Alexander I Karageorgevich of Yugoslavia and why did his life and death matter? This was a man who was born into a family with an already incredible legacy and a legendary name. Alexander I Karageorgevich was born the second son of King Peter I of Serbia and Princess Zorka of Montenegro in Cetinje, Montenegro on December 16, 1888. 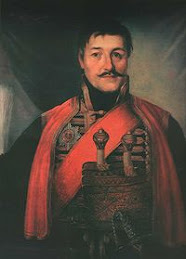 His grandfather was Prince Alexander Karageorgevich who had ruled the Serbian state from 1842-1858. His great grandfather was George Petrovich, “Karageorge” (“Black George”), founder of the Karageorgevich dynasty and leader of the First Serbian Uprising against the Turks of the Ottoman Empire in 1804. Alexander’s childhood was spent in Montenegro and Geneva, Switzerland, where his family was living prior to their return to Serbia. His grandfather, Prince Alexander, had abdicated in 1858, leaving Serbia and taking his family into exile. 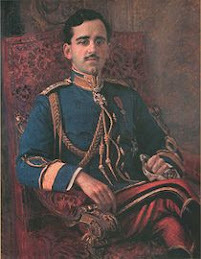 His son, Peter, would return from exile to his Serbian homeland in 1903 to become the first elected constitutional monarch of Serbia, King Peter I. 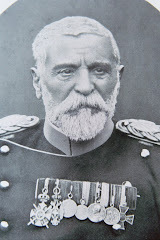 The Karageorgevich’s return to Serbia followed the death of King Alexander Obrenovich during a violent coup in Belgrade on June 11, 1903 that ended the reign of the Obrenovich dynasty. 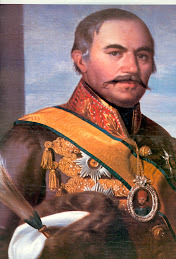 Unlike his father Prince Alexander who had abdicated in 1858, King Peter I would become one of the most respected and beloved figures in the history of the Serbian people. 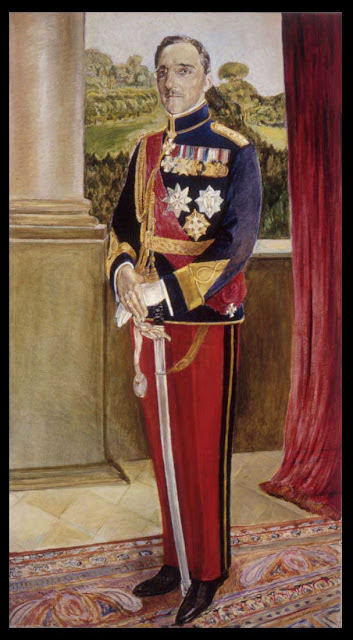 His oldest son George would have been first in line to King Peter’s throne, but because George was involved in incidents and scandals that forced him to renounce his inheritance of his father’s throne, Peter’s second son, Alexander, came to the head of the line in 1909, becoming Crown Prince Alexander Karageorgevich. Crown Prince Alexander’s military training began in 1904 when he joined the Russian Imperial Corps in St. Petersburg, Russia. He would distinguish himself in the two Balkan Wars of 1912 and 1913. 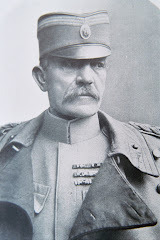 In the First Balkan War of 1912 he fought victorious and significant battles at Bitola and Kumanovo as commander of the First Army. 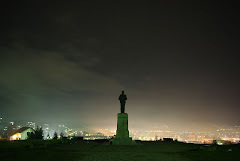 During the Second Balkan War in 1913 his army was victorious once again at the Battle of Bregalnica. The Balkan Wars would be good training for what was coming just around the corner. Because King Peter I was in ill health, he was persuaded to name his son as Prince Regent of Serbia on June 24, 1914, handing over royal power to Alexander. Peter I would, however, remain King and, despite his ill health, would conduct himself over the course of the next four years in such a way that would forever endear him in the hearts and minds of his people. 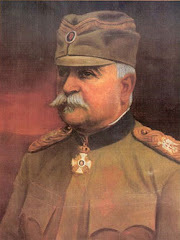 Less than two months later, upon the onset of World War I, Prince Regent Alexander would inherit the role of Supreme Commander of the Serbian Army, the commander in chief, although in reality the true command of the Serbian Army would lay in the hands of four men who would distinguish themselves valiantly in the annals of warfare – Stepa Stepanovic, Radomir Putnik, Petar Bojovic, and Zivojin Misic. The Serbian government would once again find itself in exile, this time leaving Belgrade and finally settling on the island of Corfu, where it would remain for most of the duration of the war. The Serbs, though brutally attacked by the superior Austro-Hungarian forces, immediately distinguished themselves as a force to be reckoned with in the Battles of Cer and Kolubara in 1914, successfully evicting the Austro-Hungarian invaders from their country. This success, however, was fleeting, for in 1915 the vicious onslaught of the combined alliance of Germany, Austria-Hungary and Bulgaria against the Serbs forced them to withdraw in order to survive and regroup. The Serbs had no choice, and survival was not guaranteed. Things were very bad. Many would fall, never to rise again, as they withdrew through the difficult Albanian mountains. Finally, those who survived the “Albanian Golgotha” of the winter of 1915/1916 reached the Greek Island of Corfu. 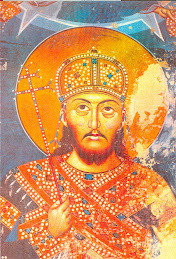 King Peter I, despite his health, had marched right along with his people, remaining with them no matter what. Despite their huge human losses, both military and civilian, the unforgiving terrain and weather, the diseases that ravaged them, the lack of adequate arms, and the paucity of necessary reinforcements during their long and difficult march, the Serbs were able to regroup on Corfu in 1916. Those that survived would ultimately be victorious over the enemy, contributing splendidly to the significant and decisive Allied breakthrough on the Salonika Front at Kajmakcalan in September of 1918 that forced Bulgaria’s surrender and signaled the beginning of the end of WWI. As it became increasingly evident during the war that the Dual Monarchy, the Austro-Hungarian Empire, might become relegated to history and that the peoples who lived on its territories would be liberated and finally have the opportunity to enjoy autonomy and self-determination, the issue of the post war reality and political organization of these peoples and territories had to be dealt with. Even as World War One raged, Prince Regent Alexander found himself having to contend with how things would be established and organized once the war was finished. The Kingdom of Serbs, Croats and Slovenes (the precursor to “Yugoslavia”), formally established on December 1, 1918, was born out of the combined desire for unification manifested during the war between the parties for whom the postwar fate of the southern Slavs was relevant, and this included the Americans. King Peter I, who survived the war, would be King of this new “country” and would remain so until his death in 1921. Upon his death, Prince Regent Alexander would take the throne on August 16th. 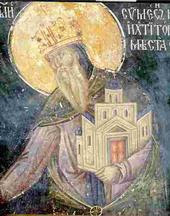 At that time, Alexander was seen as the channel by which Yugoslav (southern Slav) unification and solidarity could be achieved most effectively. 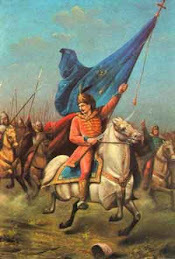 It can be argued, and has been passionately, whether or not this new “unified Yugoslav state”, comprised of specific groups of southern Slavs who now found themselves liberated from both the Ottoman and the Austro-Hungarian Empires, was a good idea based on the best of intentions and principles, or the making of a tragedy whose consequences would be far reaching. King Alexander I Karageorgevich would soon learn that this new Kingdom of which he was now the supreme ruler was not going to be the postwar Utopia that some had hoped for. On January 6, 1929, due to internal political conflicts that were escalating, King Alexander took the decisive measure of establishing a sort of necessary “dictatorship” in order to restore order. He abolished both the parliament and the constitution. It was impossible to assume that a cohesive and stable government could function given the conflicts that had developed between all the different political factions that existed within it. Despite the now proven difficulties, Alexander would continue attempting to unify the various elements in Yugoslavia. The measures he took included outlawing religious, ethnic, or regionally based political groups. Anyone knowing the make-up of the southern Slavs who comprised Yugoslavia would have appreciated the difficulty inherent in trying to enforce such measures. On October 3rd of that year he also formally changed the name of the country to the Kingdom of Yugoslavia, which, in light of developments in the future, would become known as “The First Yugoslavia”. Among the diplomatic goals King Alexander I would accomplish during his reign was bringing his country into the “Little Entente” with Czechoslovakia and Romania in 1933. It was a time when the nations of Europe were once again seeking to establish alliances. These alliances would have great bearing on future events. 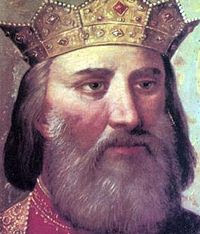 King Alexander I Karageorgevich’s merits as ruler of Yugoslavia have been argued and debated and will continue to be. What would have become of Yugoslavia as the peaceful 1930s progressed into the nightmare years of the Second World War that would begin at the end of that decade had King Alexander I continued his reign was left to conjecture on October 9, 1934. One of the smart men of Europe, who was trying to organize an effective proactive front in the early 1930s against Germany’s new leader Adolf Hitler early enough when it was still possible, was French Foreign Minister Louis Barthou. His foreign policy was to create an anti-Hitler defense ring to be achieved by what was known as the Eastern Pact - binding the Soviet Union and Poland and the Little Entente, Czechoslovakia, Yugoslavia and Romania, to France. But while he was trying to organize a defense against German territorial expansions three months after he became foreign minister, the British were going in the opposite direction. In May of 1934 the British Minister of Foreign Affairs, Sir John Simon, insisted that Germany should be permitted to rearm even though re-armament had been expressly forbidden by the Versailles Peace Treaty. Barthou went to Belgrade, Serbia at the end of June 1934 for successful introductory talks regarding a Franco-Yugoslav alliance, and it was agreed that King Alexander would pay a two week state visit to France starting on October 9th to lay the groundwork for an anti-Hitler alliance. French support against the terrorist activities of the Croatian separatists and their sponsor, the fascist dictator of Italy Mussolini, was also going to be negotiated. But as soon as Alexander’s planned visit to France was announced, Mussolini began working with his Italian Military Intelligence Service and the Croat and Macedonian terrorists to plan King Alexander’s assassination. The plan for the assassination was finalized by Vancha Mihailov, the leader of Macedonian terrorists, and Ante Pavelic, the leader of the Croatian terrorists. On October 9, 1934 the terrorists made their move and succeeded. King Alexander I of Yugoslavia and Jean Louis Barthou were assassinated in Marseilles, France. This assassination, though never assigned the significance that Gavrilo Princip’s assassination of Archduke Franz Ferdinand in 1914 was, turned out to be a precursor of the events to come in 1939. With the Franco-Yugoslav bond now weakened with his and Barthou’s deaths, Germany would tighten her economic hold in the Balkans. This would further augment Hitler’s growing confidence and the Balkans would provide more resources for Nazi Germany. It is said that Hitler watched the film that was taken of the assassination that day and upon observing the panic of the crowd and the inability of the police to deal with it effectively, he was reassured that France was weak and that she could be beaten. Whether he watched the film or not, there is no question that he grew more confident. Every subsequent action he would take in the following years would reflect a hubris that only grew with the parallel incompetence of the democracies to stop it from manifesting. Without having to worry about Britain or France or Italy, Hitler was able to proceed with enhancing his war machine. Seeing an opportunity to side up with an obvious future victor, Mussolini distanced himself carefully from England and France to eventually join Hitler. When the free world woke up to the reality of what was evolving it was too late to change the course of the future of Europe. The greatest war machine ever built up to that time was poised to march and conquer the world. 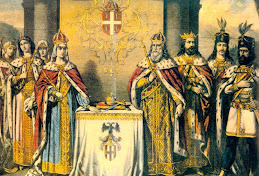 King Alexander I established his legacy during pivotal times in the history of his people in the Balkans. He participated in war after war and survived as a successful hero who went on to become King. An assassin’s bullet ended his reign, and we will never know how he would have handled the events that led his country into yet another war just a few short years later, this time the biggest and baddest of them all. His young son, Peter II Karageorgevich, would be the one to inherit that legacy. What we do know is that he is well remembered and remains honored in the hearts of his family and his people on this, the 75th anniversary of his death, October 9, 2009. 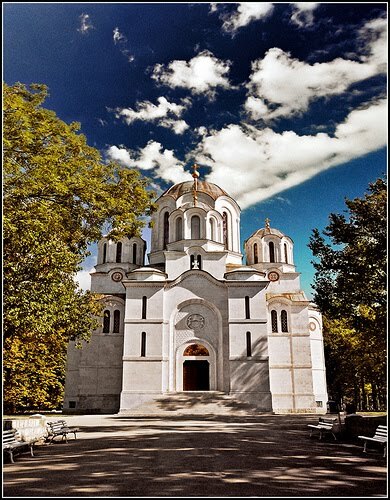 He is buried in the beautiful Church of St. George Mausoleum on the hill of Oplenac in Serbia, where so many of the other members of the Karageorgevich dynasty lay as well. The record of the final decisive event in King Alexander’s life remains one of the most significant pieces of history captured on film that exists to this day. Belgrade, 9 October 2009 – A Memorial Service was held at Oplenac today, on the occasion of 75th Anniversary of the assassination of His Majesty King Alexander I of Yugoslavia. The Holy Liturgy in the blessed memory of HM King Alexander I was served by His Grace Bishop of Sumadija Jovan and clergy of Sumadija Diocese in the Church of St. George in Oplenac. HRH Crown Princess Katherine attended the Holy Liturgy service, and afterwards she was guest at lunch that His Grace Bishop of Sumadija Jovan, HM King Peter I Foundation and Mr. Dragan Jovanovic, Mayor of Topola have organized for distinguished state and clergy guests. With church bells ringing, Their Royal Highnesses Crown Prince Alexander II (grandson), Prince Philip (great grandson), Prince Vladimir (grandson), Crown Princess Katherine and Princess Brigitta, together with members of the Crown Council laid wreaths at HM King Alexander I tomb in the mausoleum of the Church of St. George in Oplenac. Wreaths were laid by members of the diplomatic corps, HE Mr. Dragan Sutanovac, Minister of Defence and by H.E. Mr. Boris Tadic, President of the Republic of Serbia on behalf of the State. After the commemoration, an exhibition “Statesman and warrior path of King Alexander I Karadjordjevic” was officially opened at HM King Peter I house in Oplenac by H.E. Mr. Dragan Sutanovac, Minister of Defence. Academician Prof. Dr Slobodan Perovic, member of the Crown Council, H.E. Mr. Dragan Sutanovac, Minister of Defence and HRH Crown Prince Alexander II addressed the guests. Following the ceremony in Oplenac, Their Royal Highnesses, together with the members of the Crown Council and H.E. Mr. Nils Krister Bringeus, Ambassador of Sweden, went to Avala, where they laid wreaths at the Monument of Unknown Hero. Members of the Crown Council who went to Avala were Mr. Matija Beckovic, Prof. Dr Dragoljub Kavran, Mr. Dusan Babac, Prof. Dr Miroslav Gasic, Mr. Djurdje Ninkovic, Prof. Dr Slobodan Perovic, Mr. Vladan Zivulovic, Mr. Predrag Markovic, Mr. Milan Parivodic, Dr Igor Georgijev, Mr. Darko Spasic, Ms. Ana Godjevac and Mr. Milan Markovic, counsellor to Minister of Economy. Earlier today in Marseilles, Their Royal Highnesses Crown Prince Alexander II and Prince Philip attended a commemoration for the Late King and the late Monsieur Louis Barthou, Foreign Minister of France in Marseille, France, together with H.E. Mr. Vuk Jeremic, Minister of Foreign Affairs of Serbia and H.E. Dr Dusan Batakovic, Serbian Ambassador to France and member of the Privy Council. HM King Alexander I of Yugoslavia was assassinated on 9 October 1934 in Marseille at the beginning of his State Visit to France. The French Foreign Minister Mr. Louis Barthou was also killed. The King’s death deeply moved the whole of Yugoslavia and sent shockwaves throughout Europe. Hundreds of thousands of people paid their respects all along the funeral route through Yugoslavia to the Royal Crypt at Oplenac. HM King Alexander I was buried in the Mausoleum of the Church of St. George, built by his father HM King Peter I. 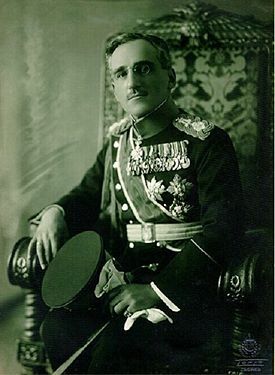 In recognition of his greatest accomplishments, namely the fact that the King Alexander I led the Serbian Army during the Balkan War and World War One and was the key person in the unification of Southern Slavs into the Kingdom of Yugoslavia, the National Parliament and the Senate of the Kingdom of Yugoslavia named him Knight-King Alexander I the Unifier. HM King Alexander I was the Supreme Commander of the Serbian Army in the First World War. 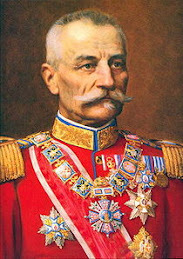 On 24 June 1914 he was appointed the Regent of Serbia. After the death of his father, HM King Peter I in 1921, he ascended the throne and became King of the Serbs, Croats and Slovenes. In 1929 he became King of Yugoslavia. HM King Alexander I and HM Queen Maria had three sons, HM King Peter II (father of Crown Prince Alexander II), HRH Prince Tomislav and HRH Prince Andrej. In 1934 HM King Peter II succeeded HM King Alexander I as King of Yugoslavia. The Royal Family would like to thank all those who came to Oplenac today and paid their respects to HM King Alexander I of the blessed memory. Marseille, 9 October 2009 – A wreath laying ceremony was held this morning in Marseille, France, on the occasion of 75th Anniversary of the assassination of His Majesty King Alexander I of Yugoslavia and Monsieur Louis Barthou, Minister of Foreign Affairs of France. The official state ceremony was organized by the French Government at the location where the assassination took place in Marseilles, France of HM King Alexander I of Yugoslavia and Monsieur Louis Barthou the French Foreign Minister. The ceremony was attended by HRH Crown Prince Alexander II, grandson of HM King Alexander I, accompanied by his son HRH Prince Philip, great grandson of HM King Alexander I, H.E. Mr. Vuk Jeremic, Minister of Foreign Affairs of Serbia, who laid a wreath on behalf of the State of Serbia and H.E. Dr. Dusan Batakovic, Ambassador of Serbia to France. HRH Crown Prince Alexander II said it was a day of sorrow for him, and added that his grandfather was a first victim of fascism. “I came here with my son Philip to mark this sad day”, said HRH Crown Prince Alexander II. HRH Crown Prince Alexander II thanked H.E. Mr. Vuk Jeremic, the Government of Serbia and H.E. Boris Tadic, President of Serbia, as well as France and Marseille, for making this commemoration possible. “Laying a wreath at my great-grandfather’s monument is very special moment for all of us, and makes us think where we were 75 years ago, and where we are today”, said HRH Prince Philip and went on that he was very moved by today’s ceremony and warm welcome. “We were together in wars, victories and losses, and today we are together in peace, with desire to live in united Europe”, said H.E. 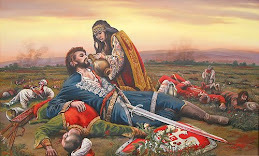 Mr. Vuk Jeremic, minister of Foreign Affairs of Serbia and added “Bullets fired at King Alexander, who was a victim of fascist and ustashe terrorism were fired at our country and European peace. King Alexander I was a Unifier, a man with deep respect for the history of his nation and profound vision of unity and integrations, which made him a first European leader in our history”. In the afternoon following their return from France, Their Royal Highnesses Crown Prince Alexander II, Crown Princess Katherine and Prince Philip will lay a wreath on His Majesty’s tomb in the Church of St. George in Oplenac. "Ubistvo i sahrana Kralja Aleksanda I Karadjordjevica (tonski video zapis)"
Posted by "123Nemanja" on "You Tube"
"Assassination! King Alexander and Louis Barthou 1934"
"The Assassination of the Yugoslavian king Alexander, video 3"
Proboj Solunskog fronta bila je jedna od najvećih i najuspešnijh operacija u Prvom svetskom ratu u kojoj je srpska vojska, najbrojnija u ukupnim operacijama (150 000 vojnika), odigrala glavnu ulogu. Uz pomoć saveznika, iako nedovoljno opremljena i u teškim uslovima, srpska vojska je od 15. do 17. septembra, u nezadrživoj ofanzivi, probila Solunski front. Ogromna želja za oslobođenje otadžbine vodila je srpske vojnike posle proboja fronta iz pobede u pobedu. Za 46 dana prešla je neverovatnih 600 kilometara i stigla u domovinu, na Savu i Dunav. Taj podvig istoričari i vojskovođe od ugleda svrstali su među najpoznatije primere gonjenja neprijatelja u svekolikoj istoriji ratovanja. O tom podvigu komandant Solunskog fronta – francuski general Franše de Pere kazuje: "Srpsku pešadiju i francuska komora na konjima je jedva stizala". Tako je srpska vojska, od gubitnika u većem delu Prvog svetskog rata, kada je napuštala otadžbinu, krećući se gudurama u nepoznato, stigla do trijumfa. Sjajna pobeda srpske vojske, ostvarena uz pomoć saveznika na Balkanu, imala je presudni uticaj i na ishod rata u Evropi. Rezultati uspešne operacije bili su kapitulacija Bugarske, Austro – Ugarske i Nemačke, oslobođenje Srbije, prelazak srpske vojske u prekodrinske krajeve i naša katastrofalna greška, čije gorke plodove danas kušamo, stvaranje nove grobnice Srpskog naroda – Kraljevine Srba Hrvata i Slovenaca. O ulozi srpske vojske u Prvom svetskom ratu Robert Lesing, ministar spoljnih poslova SAD rekao je: "Kad se bude pisala istorija ovog rata njen najslavniji odeljak nosiće naziv Srbija. Srpska vojska je učinila čuda od junaštva, a srpski narod pretrpeo je nečuvene muke i takvo požrtvovanje i hrabrost ne mogu proći nezapaženo – oni se moraju nagraditi". Viljem Drugi, nemački car, u telegramu bugarskoj vrhovnoj komandi piše: "Šezdeset dve hiljade srpskih vojnika odlučilo je o ishodu rata. Sramota!". Srpska vojska je u oktobru 1915. godine brojala 420.000 ljudi, a strahote rata preživelo ih je samo 150.000, dovoljno da i tada, prilikom proboja Solunskog fronta, zadive svet. Srbi su i tu pobedu platili nemerljivim žrtvama, gubljenjem, samo na oporavku u Bizerti i na Krfu i na lečenju u Francuskoj, do avgusta 1916. godine, oko 7.000 vojnika. Za srpskim vojnicima su ostajala rasuta po svetu groblja, a umrli junaci sahranjivani su i u more. Za vreme boravka i borbe Srpske vojske na Solunskom frontu, od leta 1916. do jeseni 1918. godine, poginuli vojnici i starešine sahranjivani su neposredno iza borbene linije, na tzv. "pukovskim grobljima", bez sanduka, sa drvenim krstačama uz grobna uzglavlja nakojima su upisivani lični podaci svakog pojedinca (čin, ime i prezime, jedinica). Umrli ranjenici i bolesnici, koji su lečeni u zavojištima i poljskim bolnicama, sahranjivani su u mestima tih ustanova. Ranjenici i bolesnici, koji su lečeni u Centralnoj poljskoj bolnici na Zejtinliku sahranjivani su na improvizovanom groblju nedaleko od bolničkog bivka. Tako je nastalo prvo Srpsko vojničko groblje na Zejtinliku. Na Srpskom vojničkom groblju počivaju posmrtni ostaci 7.565 ratnika sa Solunskog fronta. U trogodišnjim borbama stradala su 9.303 vojnika i oficira. U Bitolju je sahranjeno oko 1.500 Srba poginulih ili umrlih od rana. U blizini Bitolja, na planini Nidže, u podnožju Kajmakčalana, po nezvaničnim podacima, postoje 44 manja srpska vojnička groblja. Neka od njih je, povodom obeležavanja 91. godišnjice od proboja Solunskog fronta, posetila grupa vernika sa Kosova i Metohije. Poseta je obavljena 24, 25 i 26 septembra 2009. godine. Putovanja su organizovali Planinarsko-skijaško društvo "Kopaonik" iz Leposavića i Pokrajinski odbor Saveza potomaka ratnika Srbije Kosova i Metohije 1912 – 1920. Grupu je predvodio Radoljub Knežević iz Leposavića. U toku tri dana manja grupa srpskih rodoljuba obišla je spomen kosturnicu u selu Koraslari u blizini Velesa, mesto gde je poginuo podpukovnik Vojin Popović – Vojvoda Vuk, Kajmakčalan, vojnička groblja u Bitolju i podnožju Kajmakčalana i to na lokacijama Grunište, Reder (dva groblja) i Skočivir (dva groblja). Na svakom groblju odslužen je mali pomen, pripaljene su voštanice i okađeni su grobovi. Pomene je služio jeromonah Naum iz manastira Crna Reka. Treba naglasiti da su sva groblja, osim groblja u Bitolju, u veoma žalosnom stanju. Teško su pristupačna, bez putnog prilaza, maskirana gustom višegodišnjom šumom. Za neka groblja znaju samo stariji lokalni žitelji - Makedonci koji ta šumska mesta posećuju radi lova. Srpska noga pojedina mesta nije pohodila duži niz godina, a da ne govorimo o parastosima ili pomenima srpskih sveštenika na njima. Mali je broj spomenika na kojima se jasno mogu pročitati podaci o poginulom ratniku. Zub vremena je na skoro svim spomenicima oštetio uklesana slova u kamenu. Samo na par spomenika je bilo moguće pročitati podatke i njih ćemo, radi potomaka poginulih ratnika, i obznaniti na kraju ovog priloga. Mnoge spomenike je nevreme oborilo a do mnogih nije bilo moguće doći zbog gustog spleta granja i trnja. Žalosno je bilo videti kako se iz samih grobova srpskih mučenika u visinu gordo uzdižu stabla stara i po pedeset – šezdeset godina – upravo kao i trajanje komunističkog bezumlja. U tom su periodu i zalivana vodom namernog zaborava kao i sav korov antisrpskog i antipravoslavnog rastinja kojim je taj period bezumlja obilovao. Da se više govorilo o Solunskom frontu nego o partizanskim ofanzivama, o vojvodi Vuku i rasformiranom 17 puku Drinske divizije više nego o Titovim herojima, sigurno bi ta sveta mesta, svedoci nezapamćenog junaštva i masovne žrtve srpskog naroda, bila u svetlijem stanju nego što su sada. To stanje je toliko teško da teže ne može biti. Ono je odraz našeg odnosa prema sopstvenoj svetloj prošlosti. To srpski junaci nisu zaslužili!!! Ne zaboravimo, njihovi grobovi su izvori naše slobode, njihova prolivena krv - seme novih generacija Srba. Sve što imamo danas kao narod izgrađeno je na njihovim grobovima. Zato, ne budimo neblagodarni, zaboravni i nemarni prema tim svetim mestima, jer se mogu u gnevu potresti i srušiti sve što je na njima sagrađeno. Da do toga ne bi došlo pomolimo se Gospodu da i ovom naraštaju Srba podari jednog "Vojvodu Vuka", koji bi poveo četu srpskih rodoljuba u probijanje "novog fronta nemara i zaborava prema našim vojničkim grobljima i junačkoj vojničkoj prošlosti uopšte". Onaj slavni Vojvoda Vuk je sa svojim dobrovoljcima osvojio Kajmakčalan i „na potpis“ ga predao jednom od srpskih komandanata, a ovaj novi Vuk bi imao zadatak da srpska vojnička groblja u podnožju Kajmakčalana oslobodi skoro vekovnog zaborava i nemara i preda budućim generacijama Srba kao bescen blago na spomen i čuvanje. Saveznik u toj "novoj bici podno Kajmakčalana", nadamo se, bile bi makedonske vlasti, koje bi trebalo da izdaju odgovarajuće dozvole za takav poduhvat. Neka bi dao Bog da ovaj prilog, kao svojevrsna truba za uzbunu, pokrene srpske Arhijereje, nadležne ministre, sve rodoljube i sve ljude dobre volje da urade ono što je u njihovoj moći da se srpska vojnička groblja u Makedoniji dovedu u pristojno stanje, dostojno velike mučeničke žrtve srpskih vojnika. Amin, Amin, Amin. The following are precious pieces of World War One Memorabilia that showcase the Serbian contribution to the Allied Victory in the Great War. THE FOLLOWING SHOWCASES THE PERSONAL COLLECTION OF MILANA BIZIC OF PENNSYLVANIA, WHO HAS FOUND A REAL TREASURE IN WORLD WAR ONE MEMORABILIA THAT SHOWCASES SERBIA AS ONE OF THE GREAT ALLIES THAT WON THE GREAT WAR. "Luckily for me, I was able to add to my own collection of Allied WWI postcards Thursday, September 24, 2009 at the Renninger Flea Market near Kutztown, PA. I purchased ten additional WWI beautiful "Silks" (embroidered postcards) from Dr. Victor J.W. Christie, Appraiser and Author, and owner of THE CHESIRE CAT, LTD. The kind and knowledgeable Dr. Christie was a teacher, Superintendent of Schools, and a recognized authority on the works of Bessie Pease Gutmann. Each one of the flags I purchased from him shows the flag of Serbia (Serbia), the red/blue/white banner so familiar to us all. Dr. Christie said that the embroidered "Silks" were first produced in 1914 through 1918 and declined greatly from 1919 onwards. The cards were hand embroidered on strips of silk mesh with as many as 25 on a strip. Mostly they were produced by French and Belgian women refugees who worked in their homes and refugee camps, and then sent the finished stirps to factories for cutting and mounting on postcards. Because of their beauty and uniqueness, Dr. Christie said, the WWI Silks became wildly popular with British and American servicemen on duty in France. This is why the themes for most of the silks produced are patriotic and feature the British, French and American flags, symbols and greetings. Some of the cards purchased had the central portion cut as a flap so that a tiny printed greeting card could be inserted in a pocket behind the silk front and the stiff back. One of these said, "To my Sweetheart" and definitely showed the Serbian flag...The cards became treasured mementos from "the boys over there" and are excellent examples of front-line patriotic art quite unique to that specific period in history. Dr. Christie estimates that as many as 10 million handmade cards were produced during the WWI period. In 1930 through 1945 a machine made card was produced which was simpler and plainer with less variations. These "silks", he said, never regained the popularity of their WWI predecessors." The following images showcase Milana Bizic's beautiful new collection of WWI "Silk" postcards featuring Serbia as one of the Allied victors of the Great War.